CURRENT KDA students: Take the same level they were in this past year over the summer unless otherwise instructed. 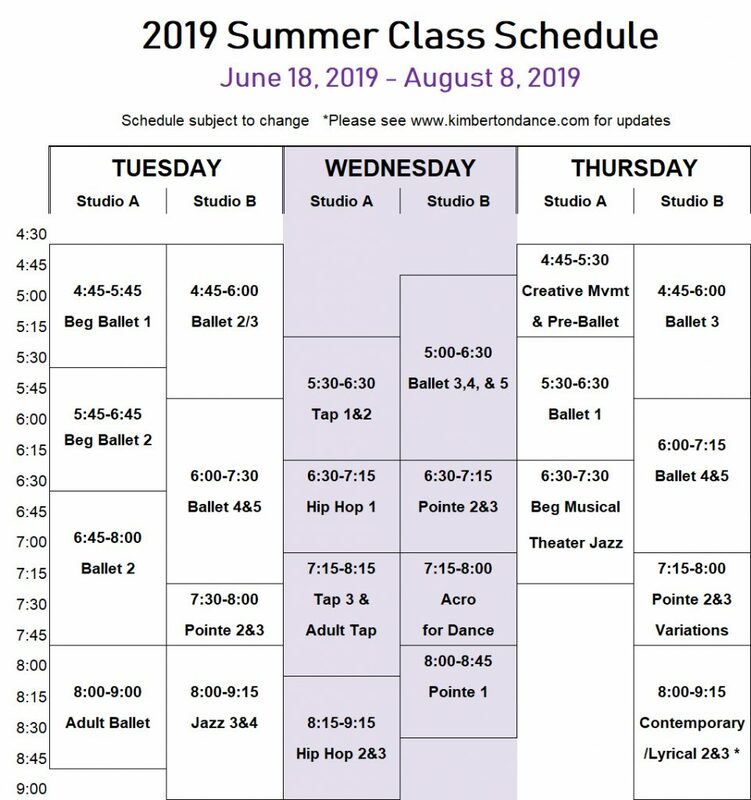 Levels for dancers that are provided in May are for the following Fall-Spring Session. NEW STUDENTS: Please contact the office about proper level placement. NUTCRACKER REQUIREMENT: Any student wishing to audition for the SVRDC production of The Nutcracker MUST take at least 1 Ballet class over the summer. It is imperative that students are keeping up with their technique and focus during the summer in order to start rehearsals for Nutcracker right away in September. POINTE STUDENTS: All students currently on pointe are required to take at least 2 Ballet classes + 1 Pointe class during the summer to maintain their strength and technique. Dancers get to bring their favorite stuffed/ toy “buddy” each day! Dancers will have a class, play games, and make a craft each day! Dancers get to spend an entire week building on their dance training and trying new styles! ***Dance Camps—Register and pay before May 1st and receive a $25 discount. To register as a current student, click here. If you are a new student, click here. For the dancer becoming more serious about their training and who wants to strengthen and hone in on their ballet technique while also getting to incorporate other styles into the daily schedule. A rigorous schedule of ballet technique classes along with other styles to better enhance your dance training. An array of teachers will help challenge dancers to develop stamina, strength, and focus on technique. ***Dance Intensives—Register and pay before May 1st and receive a $30 discount.